Sterling Bank Plc grew its bottom-line by 14.9 per cent to N9.2 billion in 2018, sustaining its upward growth trajectory. Globalview Capital Limited Chief Dealer, Mr. Aruna Kebira, told The Nation at the weekend that the political tension remains a major moderator for the market, despite the conduct of the March 2019 general elections. The Independent National Electoral Commission (INEC) had declared incumbent President Muhammadu Buhari of the All Progressives Congress (APC) as the winner of the presidential election, but the main opposition candidate, Alhaji Atiku Abubakar of the Peoples Democratic Party (PDP) is contesting the results of the election at the election tribunal. The Securities and Exchange Commission has extended the deadline for the discontinuance of the issuance of dividend warrants to December 31, 2019. In a circular on Thursday, SEC said the decision was to enable relevant stakeholders deliberate on and address all outstanding issues. According to SEC, the decision of the commission is in furtherance of its overriding mandate to ensure that all categories of shareholders and investors are adequately protected. It stated that the e-dividend initiative remained critical to the complete elimination of the phenomenon of unclaimed dividend, adding that the management of the commission encouraged all shareholders that were yet to do so to get mandated on the e-DMMS platform before the deadline. In the circular, SEC said, “A strategic assessment of the implementation of the e-dividend initiative across the country was recently carried out, reviewed and feedback/observations received from stakeholders and the general public were collated. “The assessment revealed that while remarkable progress has been recorded in concerted efforts through robust enlightenment campaigns to mobilise more shareholders to get mandated on the e-DMMS platform, there remain a few pertinent issues that need to be resolved as a precursor to the total discontinuance of the issuance of dividend warrants by registrars. United Capital Plc, an investment banking group, grew its profit before tax by 12 per cent to N6.22bn in the financial year 2018. Its gross earnings rose by four per cent to N9.26bn in 2018, while profit after tax fell by 0.5 per cent to N4.34bn. The group’s total assets increased by nine per cent to N148.7bn, while shareholders’ fund dropped by six per cent to N15.83bn. While presenting the group’s financial results for the year 2018 at the Annual General Meeting on Thursday in Lagos, the Chairman, Mr Chika Mordi, said, “Despite the challenging operating global and local environment, we continue to strive hard to deliver on our set goals and are optimistic that we will further improve in 2019. He noted that the performance of the financial markets was broadly bearish in 2018, saying increased local political tension, interest rate hikes by the US Fed and a spike in the US treasury yields resulted in an offshore sell-off from the Nigerian market. He said, “United Capital made good progress in its financial performance for 2018. The group generated gross earnings of N9.3bn and PBT of N6.2bn, despite the challenging macroeconomic and operating conditions. Mordi expressed confidence in the group’s ability to deliver superior returns to shareholders, saying, “We have put in place appropriate strategies to respond to possible scenarios that the year 2019 could throw at us; hence, we believe that we will continue to make progress in our quest to build Africa’s leading investment bank. The Group Chief Executive Officer, Mr Peter Ashade, said the group started the year 2019 with high energy levels and intended to sustain the momentum throughout the year. “We will change the narrative of financial services in Nigeria and Africa by contributing our quota in ensuring that financial and investment solutions are available to all and sundry in an accessible and simplified manner,” he added. The dollar edged up on Thursday as many of its peers weakened after more central banks shifted to dovish policy stances amid a deteriorating global economic outlook. The dollar index against a basket of six major currencies was 0.1 per cent higher at 96.879 and headed for its third day of gains. “It is currencies like the euro, which is being dragged down by negative German yields, and the New Zealand dollar, which are suffering losses and allowing the dollar to rise in turn,” said Takuya Kanda, General Manager at Gaitame.Com Research Institute. The euro was a touch higher at 1.1253. The single currency has still lost 0.45 per cent this week with the benchmark 10-year bond yield having fallen to 2-1/2-year low of minus 0.09 per cent. Growth-sensitive currencies have taken a beating recently on rising risks to the global economy highlighted by the shakeout in U.S. bond yields, which markets have read as a signal of a future recession. The New Zealand dollar crawled up 0.25 per cent to 0.6815 dollar, after sliding 1.6 per cent the previous day. The Australian dollar, which often moves in sympathy with the kiwi, added 0.15 per cent to 0.7096 dollar. The Reserve Bank of Australia last month abandoned its long-held tightening bias, and markets there are pricing in a cut this year. The pound was flat at 1.3188 dollar after going as low as 1.3143 dollar earlier on Thursday. Sterling was capped after an offer by British Prime Minister Theresa May to quit to get her European Union divorce deal through parliament failed to win over key opponents of the agreement. However, it still remains uncertain how, when or even if the United Kingdom will leave the EU. Chief Market Economist at Mizuho Bank in Tokyo, Daisuke Karakama, said the prospect that Brexit could be scrapped altogether through another referendum is a potential risk that could weigh on the yen. “A second referendum resulting in ‘remain’ would fuel risk appetite and cause the yen to be sold. The shock from such an outcome could equal that of the first referendum,” Karakama added. The yen, a perceived safe haven, had rallied hard in June 2016 when Britain chose to leave the EU through a national referendum, causing massive risk aversion in the financial markets. The yen was 0.3 per cent firmer at 110.19 to the dollar amid a slide in Japanese shares, but it was still some distance away from a six-week peak of 109.70 scaled on Monday. The 10-year U.S. Treasury note yield slipped to 2.34 per cent, its lowest since December 2017, on worries about a global recession and after the RBNZ embraced a dovish tone on interest rates. Global shares were mixed on Thursday as Chinese and U.S. trade negotiators prepared for the latest round of talks aimed at ending a tariffs war between the world’s two biggest economies. Britain’s FTSE gained 0.6 percent to 7,238, in part due to the falling pound, which tends to benefit the multi-national corporations who trade there. U.S. trade negotiators arrived in Beijing on Thursday for a new round of talks aimed at ending a tariff war over China’s technology ambitions. Chinese and U.S. officials have suggested that progress has been made toward resolving the conflict, which has disrupted trade in everything from soybeans to medical equipment. The talks were to begin with a working dinner Thursday and last the entire day Friday. Chinese officials are expected to return to the U.S. in early April. Prime Minister Theresa May made a final effort to save her European Union withdrawal deal after her promise to quit failed to win over lawmakers from Northern Ireland, who object out of concern their province would be treated differently from the rest of the United Kingdom. With the countdown to Britain’s departure from the EU looming on Friday and no Brexit deal on hand, the EU last week granted a delay. It said that if Parliament approves the proposed divorce deal this week, the U.K. will leave the EU on May 22. If not, the government has until April 12 to tell the 27 remaining EU countries what it plans to do: leave without a deal, cancel Brexit or propose a radically new path. In Asia, Japan’s Nikkei 225 lost 1.6 percent to finish at 21,033.76 and the Shanghai Composite index sank 0.9 percent to 2,994.94. Australia’s S&P/ASX 200 added nearly 0.7 percent at 6,176.10. South Korea’s Kospi fell 0.8 percent to 2,128.10, while Hong Kong’s Hang Seng gained 0.2 percent to 28,775.21. Shares were mixed in Southeast Asia and fell in Taiwan. The Monetary Policy Committee of the Central Bank of Nigeria on Tuesday reduced the MPR from 14 per cent to 13.5 per cent. The MPR had been held at a record high of 14 per cent since July 2016 when it was hiked by 200 basis points from 12 per cent. The analysts, who spoke in separate interviews with our correspondent on Wednesday, said the current interest rate, when compared with those of developed and emerging economies, was still quite attractive. The bonds market recorded a decline as yields dropped to around 13 per cent across maturities on Wednesday on minor buying interest, traders told Reuters. The traders said low liquidity on the interbank market hampered deals, adding that yields fell from as high as 15 per cent in February after the apex bank lowered the rates at which it sold treasuries at its last auction. Banking sector credit doubled to N80bn on Tuesday from the previous day but the amount of maturities due to be repaid between now and August is not sufficient to boost liquidity, traders said. The stock market, which is beset by worries over low growth, dropped by 0.67 per cent on Wednesday as brokers say the rate cut was too little to stimulate the economy. Sell pressures dominated the equities market as investors lost N78.7bn. 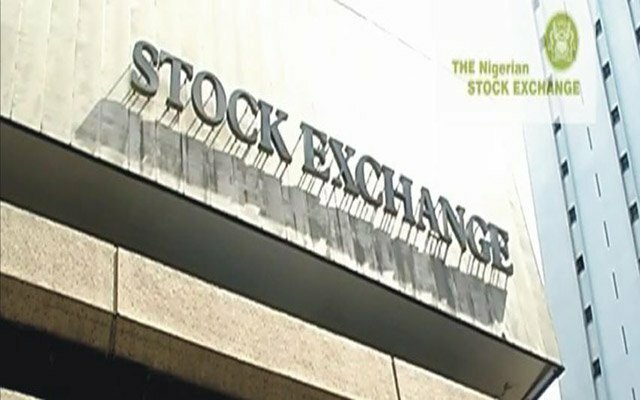 The market capitalisation of equities listed on the Nigerian Stock Exchange dropped from N11.671tn on Tuesday to N11.592tn on Wednesday. The Managing Director, Afrinvest Securities Limited, Mr Ayodeji Ebo, said there would likely be an initial or short-term reaction at the fixed income market following the cut in MPR. He said, “I feel that the decline will be short-lived. At the equities market, we should not expect to see any major reaction as it is not expected to benefit from the decline because the structural issues are still there. It is only when we see old policies that can shake investor sentiment before we can see a change in direction in the equities market. Ebo stated that the interest rate, based on current levels, was still attractive compared to what was obtainable in developing markets and across emerging markets. A research analyst at Vetiva Capital Management Limited, Ifedayo Olowoporoku, said the effect of rate cut on the stock market would be limited majorly because it was not substantial enough to change the sentiment of an investor to re-allocate investment from fixed income to equity. She said, “In the fixed income market, we have seen yields decline since the start of the year. We can characterise this rate cut as a way of the Monetary Policy Committee catching up to market realities. On average, we do not expect the stock market to react at all. “In both markets, we may have minimal investor reaction to this cut. For the FPIs, they are invested in fixed income on the secondary market, which has seen a decline of about 200 basis points way before the rate cut. Olowoporoku forecasted that in the next meeting, the MPC would hold the rate, but might later increase the rate as the Federal Government planned to increase minimum wage, which she said would pump a lot of money into the economy and likely raise inflation level. The Nigerian Stock Exchange has lifted the suspension of trading in the shares of Thomas Wyatt Nigeria Plc. The NSE, in a statement on Monday, referred to its Market Bulletin dated November 1, 2018, which notified the public of the suspension of six listed companies for non-compliance with the rules for filing of accounts and treatment of default filing and the rulebook of the exchange (issuers’ rules). The statement read in part, “Thomas Wyatt Nigeria Plc, which was among the companies suspended, has now filed its outstanding interim financial statements to the Exchange. The shareholders of Transcorp Hotels Plc have approved the N1.14bn dividend payment proposed by the company for the 2018 financial year. The company said in a statement that the payment was approved at the Annual General Meeting in Abuja. It said the final dividend translated to 15 kobo per ordinary share, which was a 20 per cent improvement over the 12 kobo per ordinary share for 2017. The Chairman, Board of Directors, Mr Emmanuel Nnorom, said, “Transcorp Hotels has exceeded the bar with an impressive turnover of N17.4bn from N13.8bn recorded in 2017, representing an improvement of 26 per cent. He also thanked the shareholders for their continued support and faith in the board and management of the company. The President, New Dimension Shareholders Association, Mr Patrick Ajudua, described Transcorp Hotels as an embodiment of what privatisation in Nigeria should be. He said the good corporate governance and the presence of a focused management team that was concerned with giving returns to shareholders were some underlying factors behind the company’s continued success. The Managing Director/Chief Executive Officer, Transcorp Hotels, Mrs Owen Omogiafo, reiterated the company’s commitment to quality and global standard customer experience. She said, “We are redefining the hospitality landscape in Africa and positioning our continent as a preferred destination for local and international tourists. Our numerous awards and recognition are proof of this. She added that growth and efficiency, underpinned by a strong culture of service excellence and cost optimisation, would drive the company in the current year and beyond.